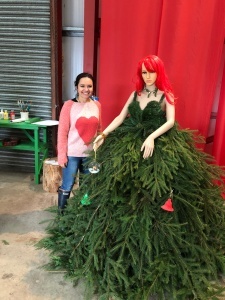 Dove Syke is a local smallholding with a family run Christmas Tree Farm. Beautiful surroundings are aplenty here, and you too can share the stunning view of Pendle Hill with us. Currently we grow Christmas trees on 22 acres of ground and, within them, we offer you the chance for family walks with your children. The “Choose and Cut Fam” has developed the tradition of the entire family selecting and cutting the Christmas tree. The whole family can have great fun in the process of choosing the trees, during the walk we advise children to try searching for Santa’s Postbox in order to send a letter to Santa himself. We guarantee that Santa will respond to every letter as long as he can find the return address, so don’t forget to put it on your letter. We also are hoping that Santa will visit us personally on every December weekend in Santa’s Grotto. You can track our Facebook to not miss any visits from Santa in Dove Syke Nursery. As the children say: Every day’s a school day, and we hold to that principle. We learn something new every day. One of my fondest memories from last Christmas season from Dove Syke was a meeting with an amazing lady who not only told me the history of the creation of wreaths within the UK, but also that they can go by the name of “Welcome Rings”. Truly a wonderful name to show the angelic hospitality that people here have. 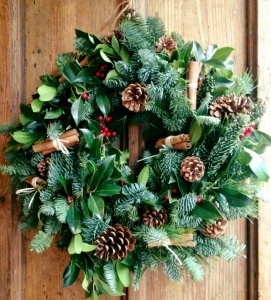 When you buy a tree from us, we sincerely offer you the chance to buy a Christmas Wreath – Welcome Ring. 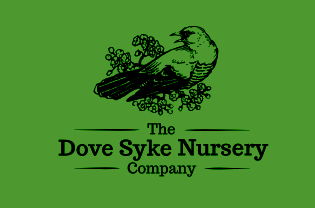 We have multiple sizes, ranging from small to large pieces, all hand made within Dove Syke Nursery. We have experience in creating Wreaths, Garlands, Grave Pots as well as decorating entire dresses. We take orders as well as having a showcase from which you can buy on the spot. In 2018, we offer the “Wreaths and Welcome Rings Workshop”, where everyone is invited to attend. We will have a lot of great fun where you can learn how to create your very own Christmas Wreath and, of course, take it home with you to show off how you not only have a hand-made, but a self-made wreath. Usually the Christmas tree begins life in a nursery where superior seeds are planted and grown into 2 year old seedlings. The seedlings are then taken from the nursery beds and planted in a Christmas tree plantation; while growing the trees provide many environmental benefits. They replenish the earth’s oxygen supplies, serve as a wildlife habitat, increase soil stability and provide a valuable and aesthetically pleasing improvement to the land. Each year some species are shaped and pruned; the average growing time is 6 to 10 years for a well shaped 4+ foot tree depending on the species, weather conditions and soil. We stock trees of all sizes including 4ft, 5ft, 6ft, and even bigger..
Why not join us for a mulled wine, mince pie and let the kids post their letters to Santa while you choose your perfect Christmas tree.